China's economic reform is a long-term plan to shift from a command economy to a mixed economy. That means its recent slowdown in economic growth is intentional. It's not a sign of a collapse. It's consistent with a long-term plan Chinese President Xi Jinping released on November 16, 2013. That plan was updated in December 2015. The “Made in China 2025” plan recommends advances in technology. specifically big data, aircraft engines, and clean cars. China has become a world leader in solar technology. It is cutting back on steel and coal production. China's leaders hammered out details of the five-year plan it drafted in October. It will continue the reforms outlined in 2013. Global leaders have become more interested in President Xi's plans now that. China's reform will shift the economy from one based on government spending, state-run companies, and low-cost exports. It moves it toward private investment, entrepreneurial innovation, and domestic consumption. China needs to reduce overcapacity in factories. It must allow the market to absorb a stockpile of newly built and vacant homes. It wants to also lower business costs for entrepreneurs. As a result, China is willing to accept a slower rate of growth of around 6.5 percent. China's state-owned companies are the pillars of its economic growth. But many are bloated, ineffective, and unprofitable. They are in the steel, glassworks, and other manufacturing industries. The reforms modernized them to attract private investors. But they created a glut of commodities. The oversupply caused prices to plummet which consequently sabotaged the privatization efforts. The government will loosen price controls on water, electricity and natural resources. Companies in these industries can consolidate and become larger. But they must become profitable. They will also be listed on China's stock market to hold them accountable. In return, they will pay 30 percent of earnings as dividends to the government. Proceeds will be used to fund social security programs by 2020. That allows the Chinese people to save less, spend more, and boost demand. The “Made in China 2025” plan comprehensively upgrades the manufacturing industry. It focuses on innovation and quality over quantity. China sees an opportunity in being a world leader in green development. To achieve these ends, China will nurture its human talent. Innovation will flourish only if China strengthens the protection of intellectual property rights. The government must allow firms to declare their own technology standards. They must also be free to participate in international standards setting. The government creates 40 manufacturing innovation centers by 2025. It also wants source 70 percent of core manufacturing materials domestically by 2025. Banking reform will create a competitive financial system. In the past, the government lowered interest rates to make borrowing easier. But the American Enterprise Institute said only saddled companies with more debt. Corporate debt is 160 percent of GDP, double the U.S. level of 70 percent. China has gotten by with a large shadow banking system that substituted for small private banks. But that created lots of corruption. In 2014, the government insured bank deposits. It then allowed banks to raise interest rates for consumer deposits. Those two moves gave savers more to spend and banks more to lend. The government also encouraged the creation of more privately-held smaller banks. They are financing the innovative new companies that drive competition. Innovation will help these companies grow enough to launch an initial public offering. In the past, the government decided which companies could list stocks on the market. The reform will allow the companies to make their own decisions. This greater risk is being carefully introduced. The government will allow some companies to default without bailing them out. That will create bank losses that the government will try to manage. The People's Bank of China is taking steps to allow the yuan to replace the U.S. dollar as the world's reserve currency. As a first step toward international currency trading, the yuan is now traded in London and Singapore. That will open China to more foreign direct investment. These changes are needed but risky. Other countries, such as Norway, Argentina, and Thailand, liberalized their financial sectors only to experience banking crises within a few years. 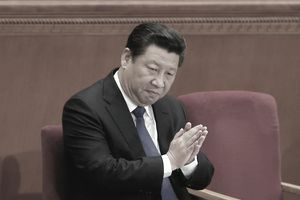 To make these risky reforms acceptable, President Xi also granted more personal liberties. Couples can have a second child if one spouse is an only child. That will reverse a declining labor force. Labor camps will be abolished. Those were punishments without judicial process for dissidents, prostitutes and the homeless. Rural workers will keep their right to public services when they move to an urban area for work. Farmers can sell their land instead of the local government controlling its use. That will probably be opposed by the local authorities who depend on revenues from these collectives to pay their debts. The government may allow localities to set their own higher tax rates. This could upset the balance of power though between them. If successful, these measures will increase the labor supply for urban businesses.